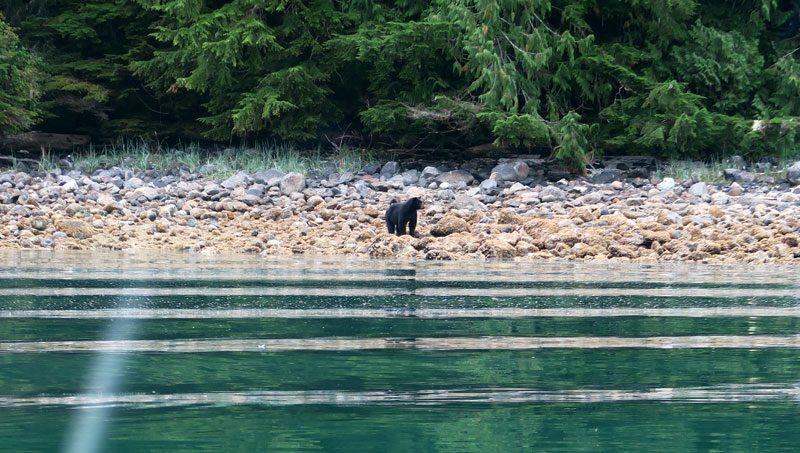 Lauren, our Assistant Product Manager for Canada & Alaska, journeyed to British Columbia, Canada where she experienced a stay at Farewell Harbour Lodge: a beautiful floating wilderness lodge where she witnessed an abundance of wildlife including grizzly bears and whales. 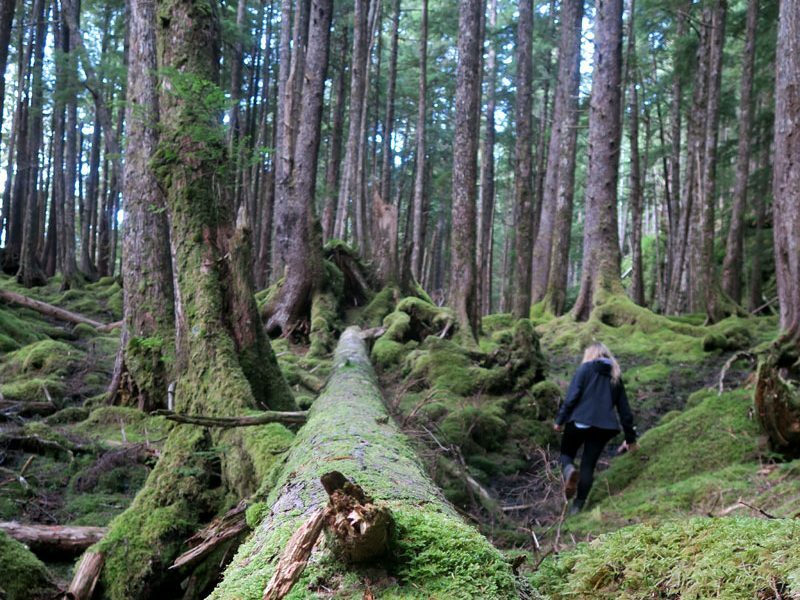 From there, Lauren travelled to the mystical islands of Haida Gwaii – home to ancient forests and beautifully rugged coastlines. Upon arrival at Farewell Harbour Lodge and after a quick bite to eat, our guides kitted us up and took us straight out on one of the boats in search of whales… We didn’t have to wait long! Our guide, Marine, hadn’t even finished off the safety demo and we could already see a pod of orca whales leaping ahead of us! 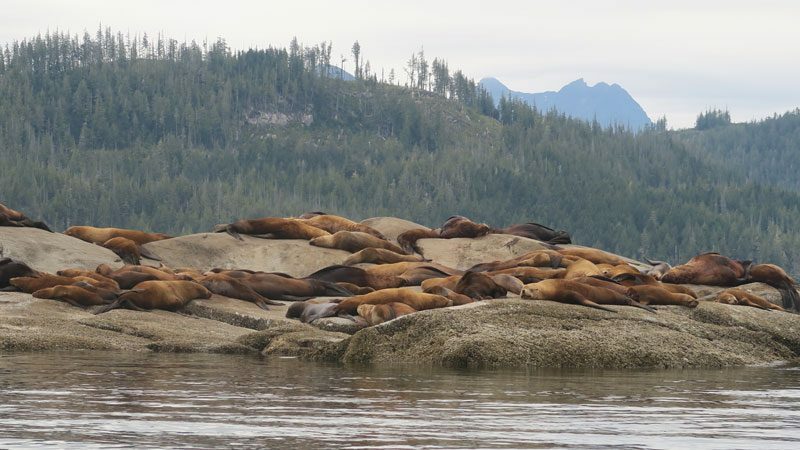 Next we spotted Steller Sea Lions, basking in the sun. The large adult males can weigh up to 1.2 tonnes and have an impressive low-frequency vocalisation, sounding like a loud roar! The highlight of the day for me was the humpback whales, we even saw them bubble-net feeding! The following day took us out in search of grizzly bears, but en route we were lucky enough to bump into this gorgeous black bear, foraging along the shoreline. We saw grizzly bears in abundance at the falls catching salmon, but my favourite grizzly shot has to be this one, a gorgeous looking bear crossing the river, completely unfazed by our presence! 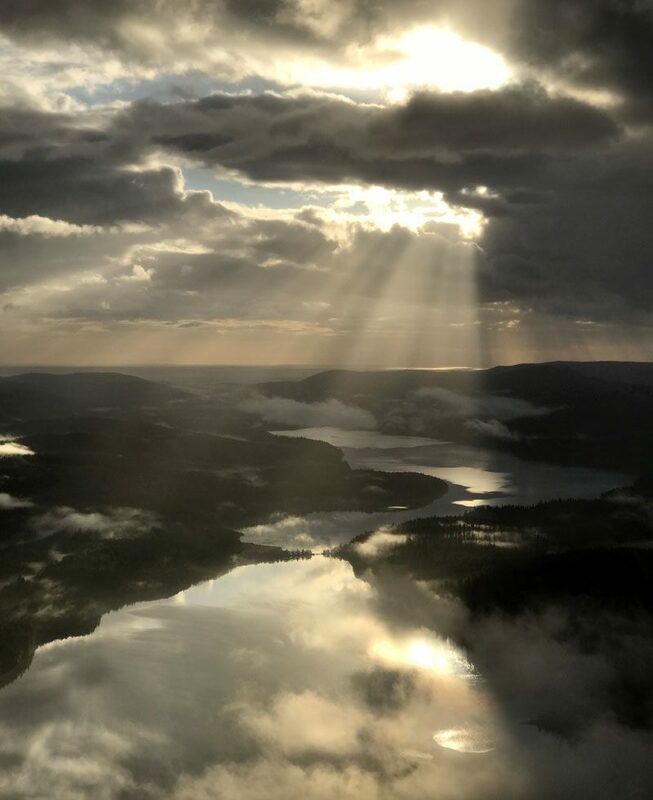 The journey to Haida Gwaii was an adventure in itself, consisting of a chartered flight to Sandspit and then a helicopter transfer to our lodge, only accessible by air or boat! And despite the clouds we enjoyed incredible aerial views over the islands. 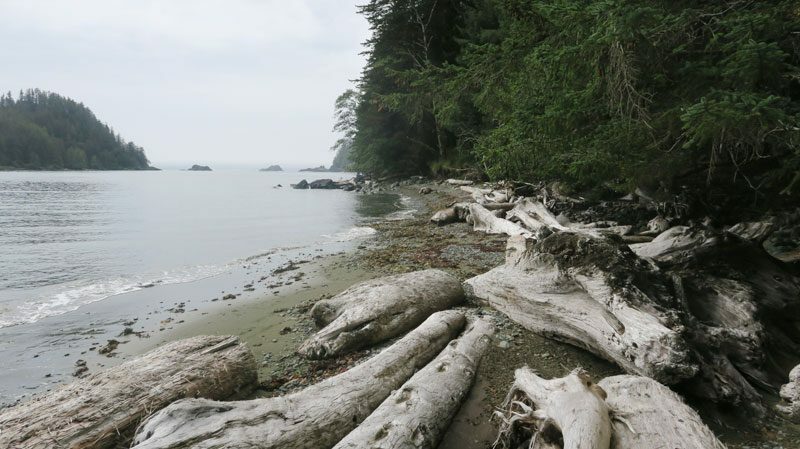 Haida Gwaii is a landscape from ancient times, home to temperate rainforests, remote islands and welcoming Haida people. Uncovering this magnificent totem pole in the middle of the rainforest was a very special and poignant experience for me. 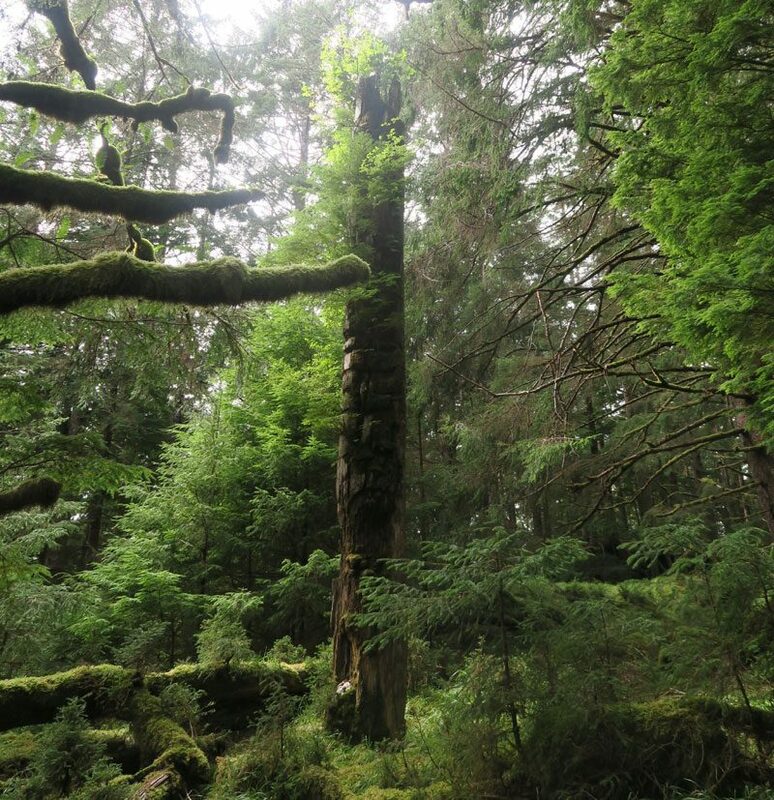 I love how the totem pole blends so easily into the forest and is covered in moss and old growth. We enjoyed delicious homemade lunches on wild, rugged and remote beaches like the one shown below. On the island of SGang Gwaay, the remains of large cedar long houses, together with a number of totem poles illustrate the way of life for the Haida people. SGang Gwaay is located in Gwaii Haanas National Park Reserve, National Marine Conservation Area and Haida Heritage Site. Send us an enquiry or call our Canada Travel Specialists to discuss your travel plans.